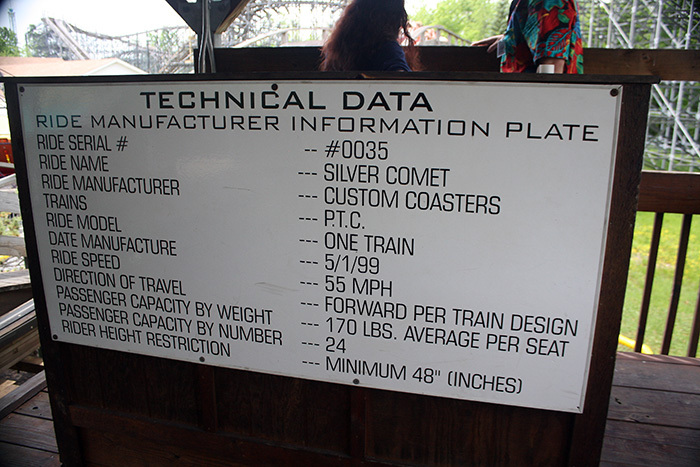 As you can see by the Silver Comet's massively huge "Coaster Geek Information Board" the ride opened in 1999 and it's fastest speed is 55mph among other facts. 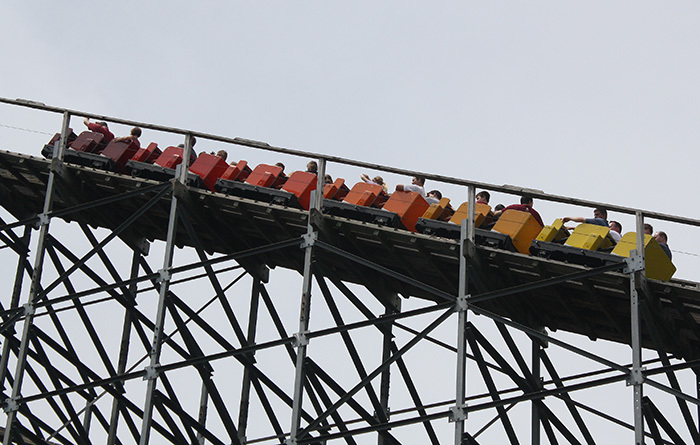 The Silver Comet is a steel structured wooden coaster. The benefits for a small park like Martin's Fantasy Island is with the steel structure there's a lot less wood that needs to be replaced every once in a while thus reducing maintenance costs. 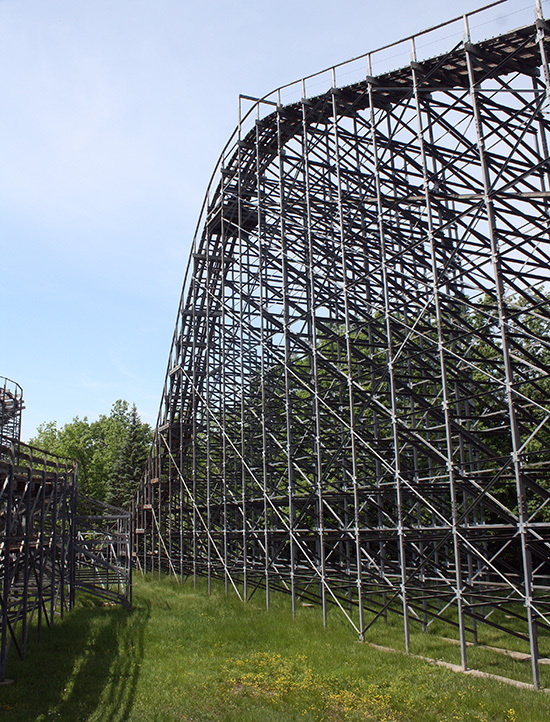 The track is the traditional layered wood with flat steel for rails so it's still considered a wooden coaster. Like the Silver Comet's colorful sign it's trains are a rainbow of colors; none of them silver though. 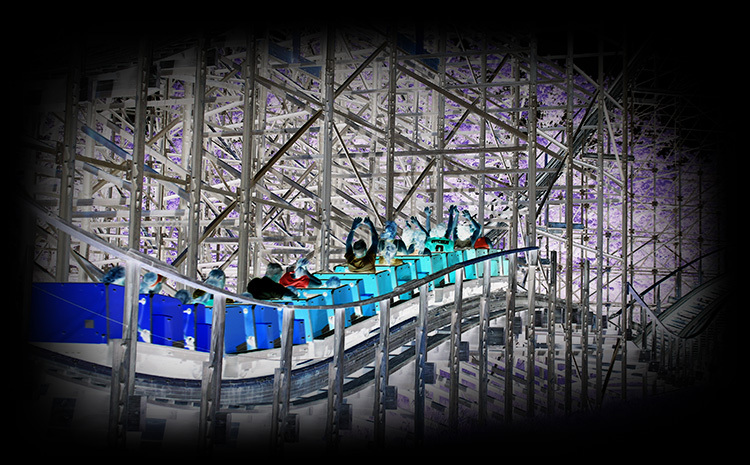 The Silver Comet was designed to create a similar ride to the legendary Crystal Beach Comet that once was stored at Martin's Fantasy Island. During the "Two Flags Over Niagara" era Charles Wood purchased Crystal Beach's Comet when that park closed and it's rides were auctioned off. He intended to rebuild it here but instead it sat here for a few years before heading to Wood's The Great Escape to come alive again there. 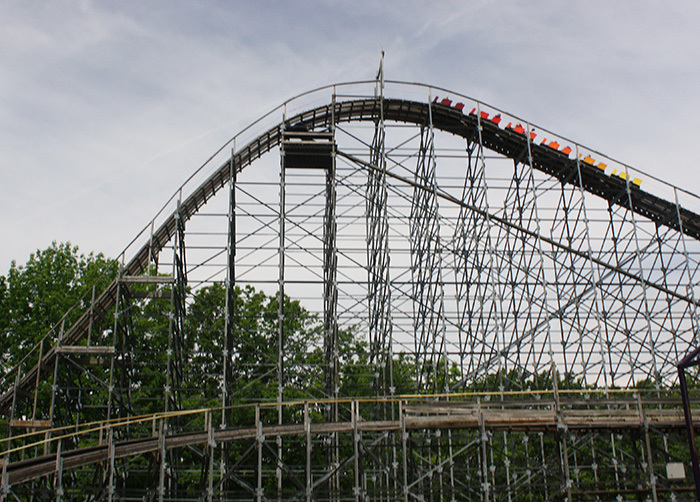 After Wood sold the Park to Martin the idea to have a Comet like ride finally came to fruition when the park hired Custom Coasters International in 1998 to build the Silver Comet for their 1999 season.